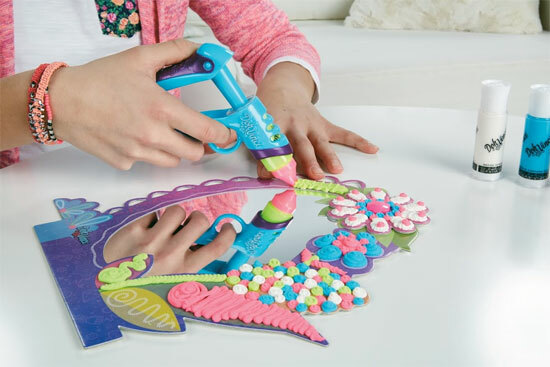 Have you heard about Doh Vinci from Hasbro? 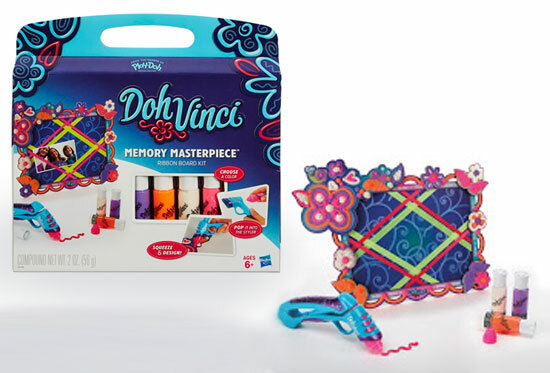 Doh Vinci is a new and innovative way for all ages to dare to explore their creativity to create some art pieces. Each of the Doh Vinci comes with a standard template base for you to do the design. The fun and creativity kick in when you pick your choice of color and start doing creative design on those template. Soon before you know it, you may have created some original 3D art pieces! *Image credits to Hasbro Singapore. 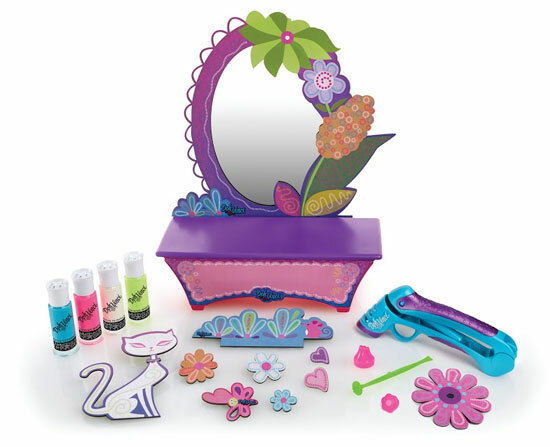 Use the Styler tool to make this mirror and drawer set uniquely yours with colorful designs that pop. 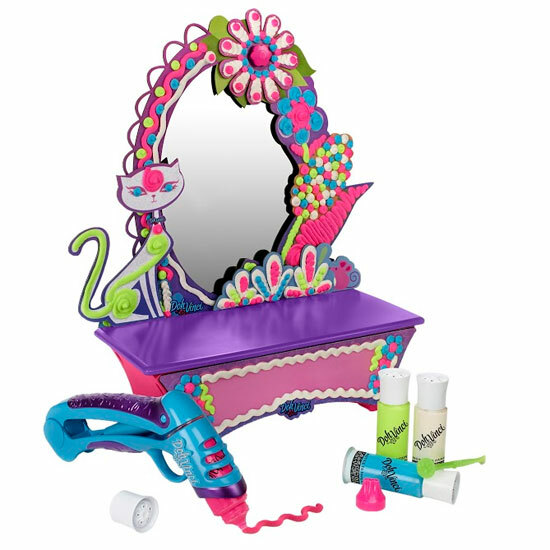 Once your DOHVINCI design is complete, assemble your vanity and voila! - a perfect place to store your jewelry, notes, and other favorites. Includes five-piece vanity with mirror, add-on flourishes, Styler tool, wavy shaped design tip, two-sided edging tool, four DECO POP colors, and inspiration guide. Aim, squeeze, and design on the go! This all-in-one portable studio opens to reveal a ready-to-use easel, storage, and all your DOHVINCI tools to start designing in 3D. Includes blank boards for truly open-ended creativity, as well as small art pieces that can be given as gifts! When you're on the move, fold it up and take it wherever you go! Includes portable easel/storage case, Styler tool, five art boards, four DECO POP colors, and inspiration guide. Create your own memory board to post your notes, photos and other mementos. This customizable ribbon board has room to hold your favorite things surrounded by your unique DOHVINCI artwork. Includes two-piece memory board, add-on flourishes , Styler tool, ribbon shaped design tip, colorful ribbon, four DECO POP colors, and inspiration guide. You may check out more about the product at all Toys’R’Us and major department stores. In the light of Children day, Hasbro will be sponsoring some Doh Vinci to be given away for any of our readers located in Singapore. All you need to do is to use your FACEBOOK ACCOUNT and leave a comment on ideas to help develop a child’s creativity and you will stand a chance to win some Doh Vinci! 3 Prizes to be won and winners will be notify in your facebook messages with that account you comment below. UPDATES: The Giveaway has ended and winners have been notified. Thank you for all your participation.